Successfully controlling weeds in lawns with weedkillers depends upon identifying what weeds you have and then selecting the appropriate chemical. Be very careful using weedkillers on lawns; the wrong dose could seriously harm your lawn. Below you can find details of which weedkillers work best for tackling specific weeds – and information on those that are resistant. For general advice on applying lawn weedkiller, including the timing and methods, see our advice on lawns: weed control. You will be most successful at controlling the weeds in your lawn if you can identify what they are. This is because certain weedkillers are more effective at killing some weeds than others. 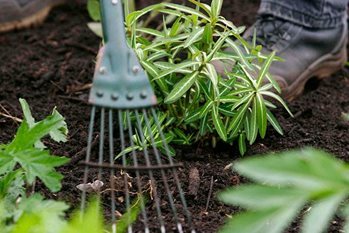 Not every gardener knows their lawn weeds, but help is at hand in the form of simple lawn care and British wildflower books. Alternatively, images can often be found on the internet. Annual meadow grass (Poa annua): Little response to lawn weedkillers. Feed to encourage other grasses. Seeds freely; always use grass box on the mower. Returf small areas of infestation. It is shallow-rooted and encouraged by frequent watering in dry weather. Celandine, lesser (Ranunculus ficaria): Method 7 – needs early treatment. Returf small areas containing celandine. Mind-your-own-business (Soleirolia soleirolii): Little response to lawn weedkillers – returf infested areas in late autumn or early spring. Speedwell, slender (Veronica filiformis): Little response to lawn weedkillers. Re-seed or returf affected areas of lawn. Method 1: Plants usually easily killed using one or two applications of weedkillers containing: mecoprop-P; or dichlorprop-P. Examples include Doff Lawn Weederkiller, Westland Resolva Lawn Weedkiller Extra, SBM Job Done Lawn Weedkiller or Scotts EverGreen Complete (also contains fertiliser and mosskiller). Method 2: Plants usually easily killed using one or two applications of weedkillers containing 2,4-D plus mecoprop-P or 2,4-D plus dicamba. Examples include SBM Job Done Lawn Weedkiller, Garden Direct Lawn Weed, Feed & Mosskiller (also contains fertiliser and mosskiller) or Scotts Lawn Builder Lawn Food Plus Weed Control (also contains fertiliser). Method 3: Plants usually easily killed using one or two applications of weedkillers containing 2,4-D plus mecoprop-P or 2,4-D plus dicamba or fluroxypyr. Examples include SBM Job Done Lawn Weedkiller, Scotts Weedol Lawn Weedkiller or Scotts Lawn Builder Lawn Food Plus Weed Control (also contains fertiliser). Method 4: Plants needing two or three applications of weedkillers containing 2,4-D plus mecoprop-P; 2,4-D plus dicamba; or MCPA. Examples include SBM Job Done Lawn Weedkiller, Vitax LawnClear 2, Vitax Green Up Lawn Liquid Feed & Weed (also contains fertiliser) or Scotts Lawn Builder Lawn Food Plus Weed Control (also contains fertiliser). Method 5: Plants needing two or three applications of weedkillers containing 2,4-D plus mecoprop-P; or 2,4-D plus dicamba. Examples include SBM Job Done Lawn Weedkiller, Westland Lawn Feed, Weed & Mosskiller (also contains fertiliser and mosskiller) or Scotts Lawn Builder Lawn Food Plus Weed Control (also contains fertiliser). Method 6: Plants needing two or three applications of weedkillers containing 2,4-D plus mecoprop-P; 2,4-D plus dicamba; or fluroxypyr. Examples include SBM Job Done Lawn Weedkiller, Scotts Weedol Lawn Weedkiller, Westland Lawn Feed, Weed & Mosskiller (also contains fertiliser and mosskiller) or Scotts Lawn Builder Lawn Food Plus Weed Control (also contains fertiliser). Method 7: Plants needing two or three applications of weedkillers containing MCPA. Examples include SBM Job Done Lawn Weedkiller, Vitax LawnClear 2, Vitax Green Up Lawn Liquid (also contains fertiliser) or Scotts Weedol Lawn Weedkiller. Look in our Weedkillers for gardeners document – sections 1b and c – for a fuller list of corresponding product names.